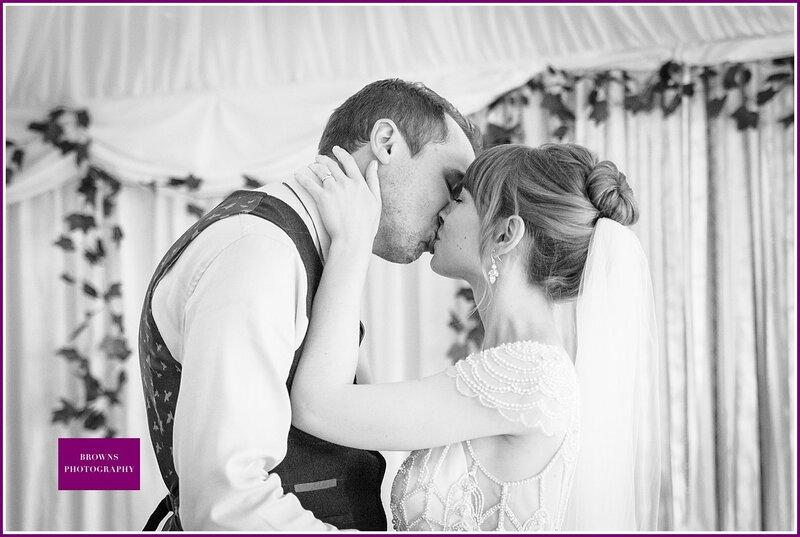 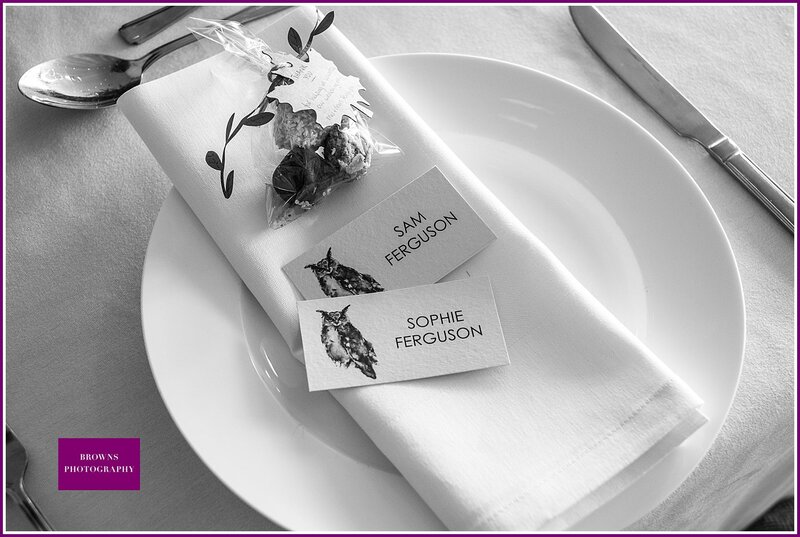 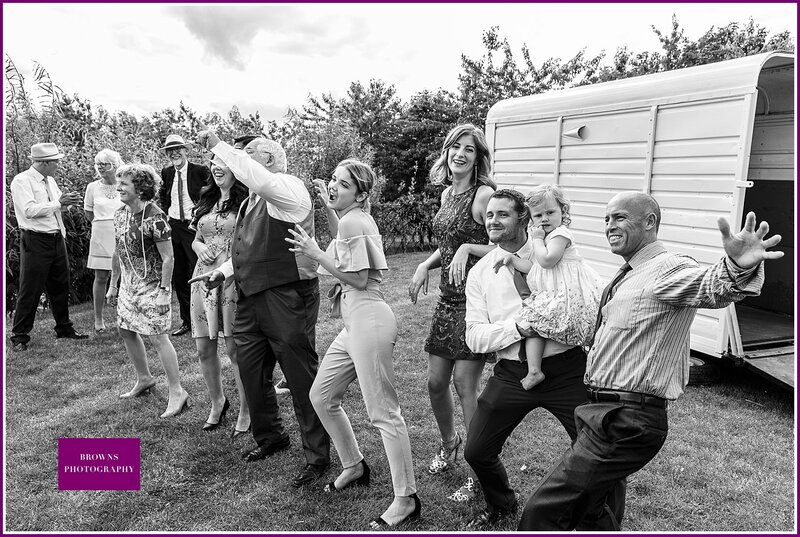 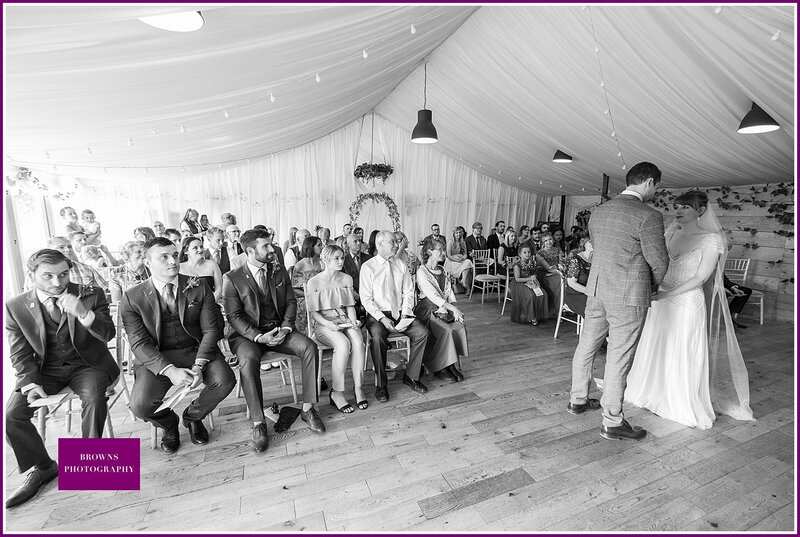 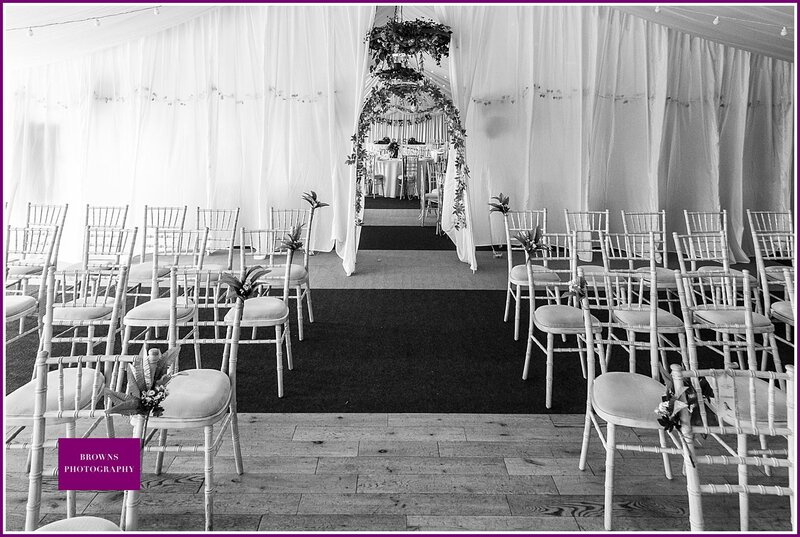 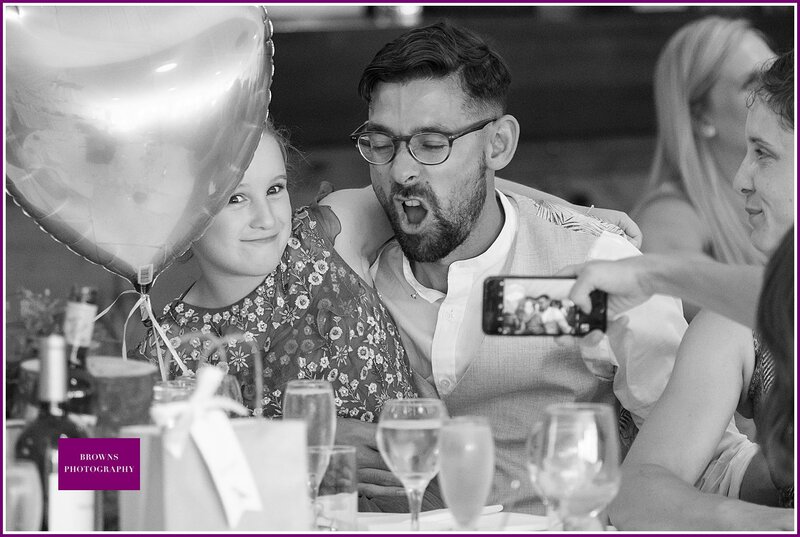 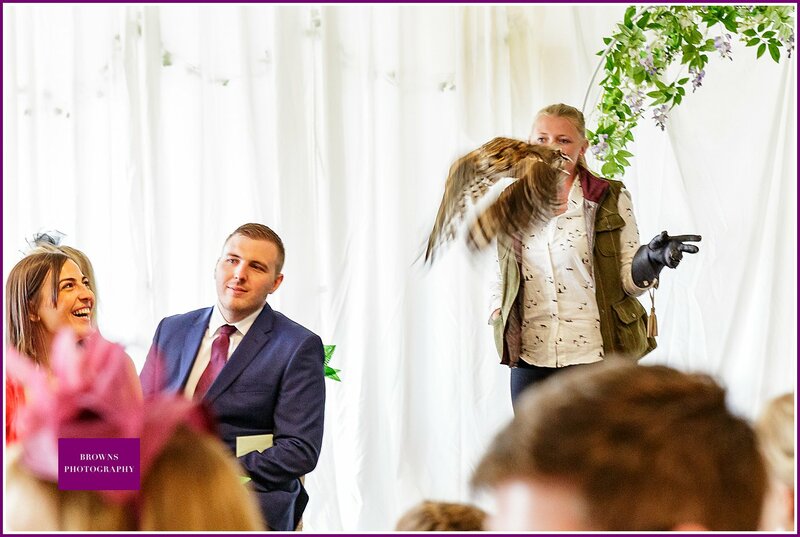 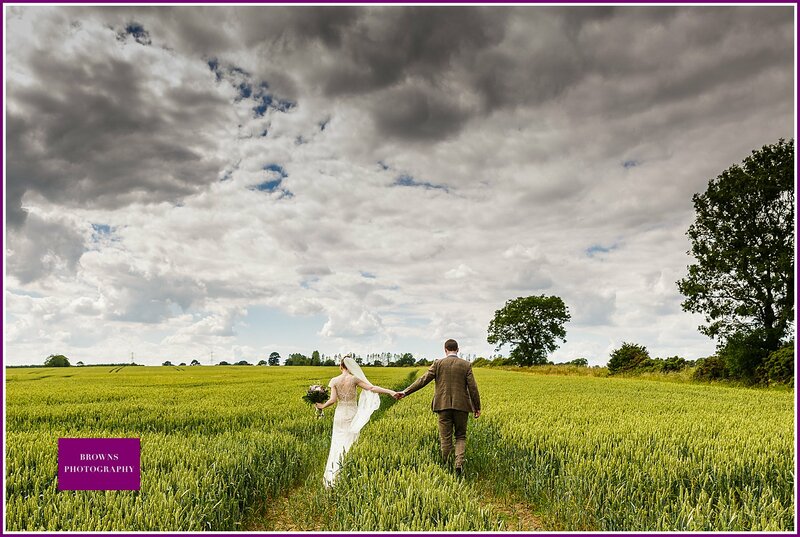 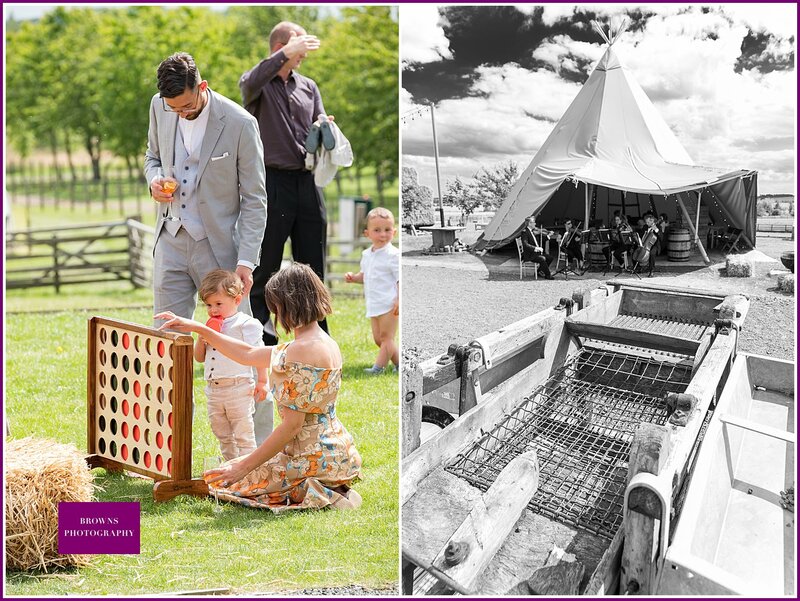 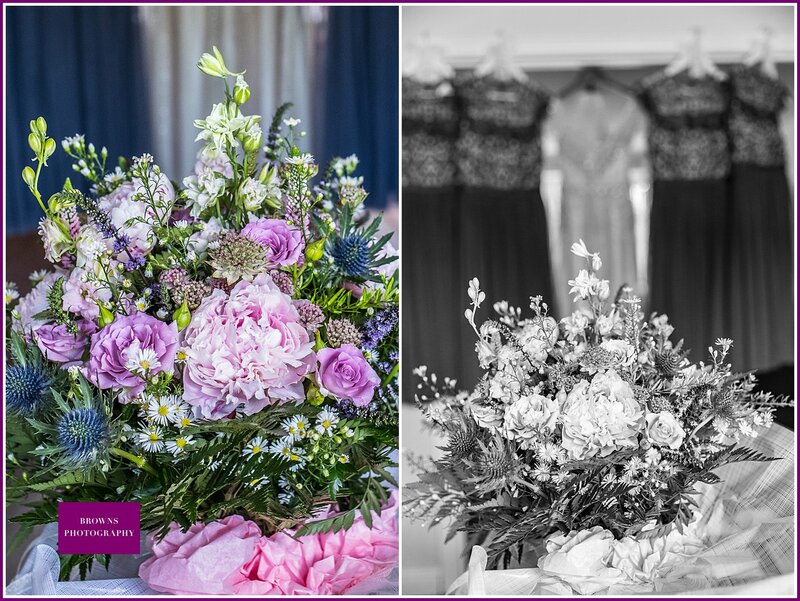 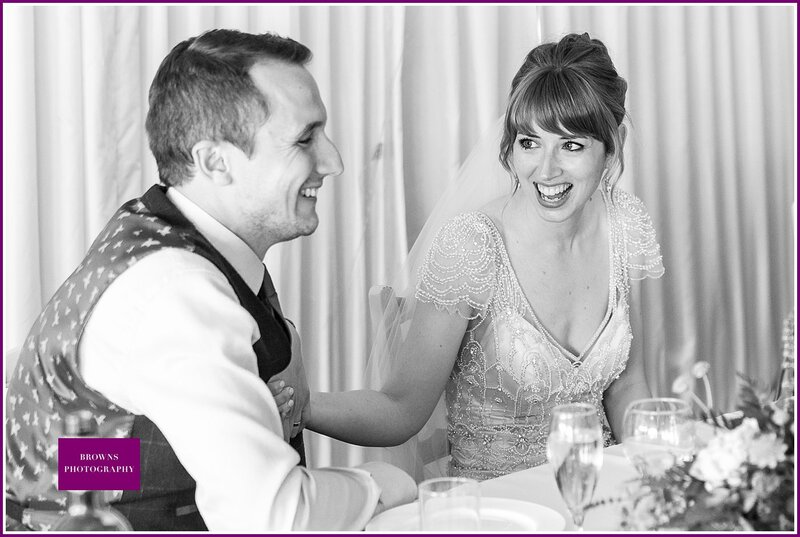 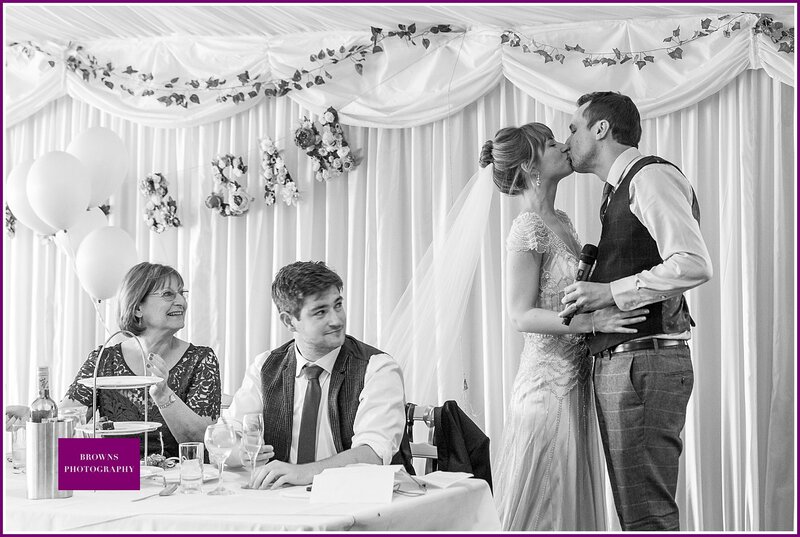 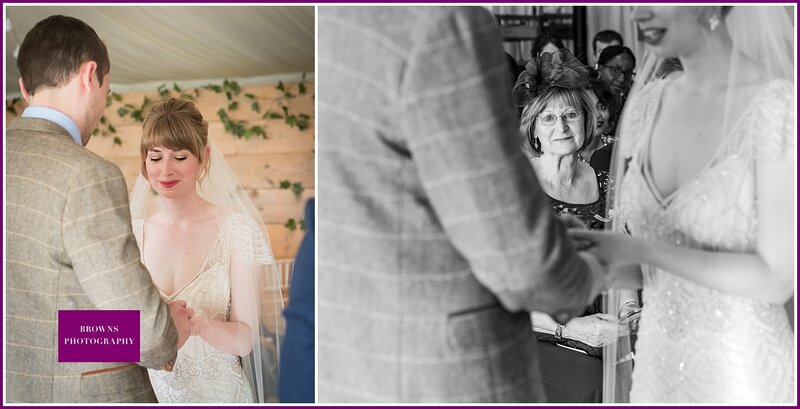 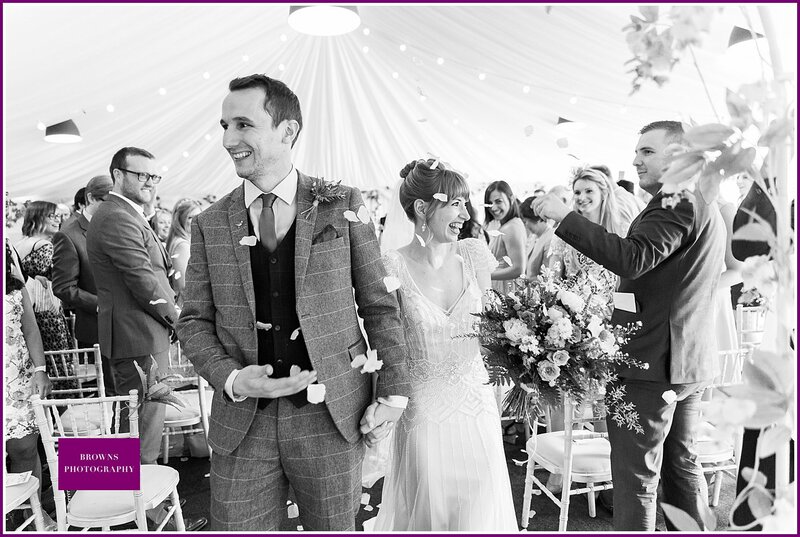 Vallum is unlike any other wedding venue in Northumberland, offering the relaxed, romantic feel of a country wedding venue in breathtaking Hadrian’s Wall country just eight miles west of Newcastle-upon-Tyne. 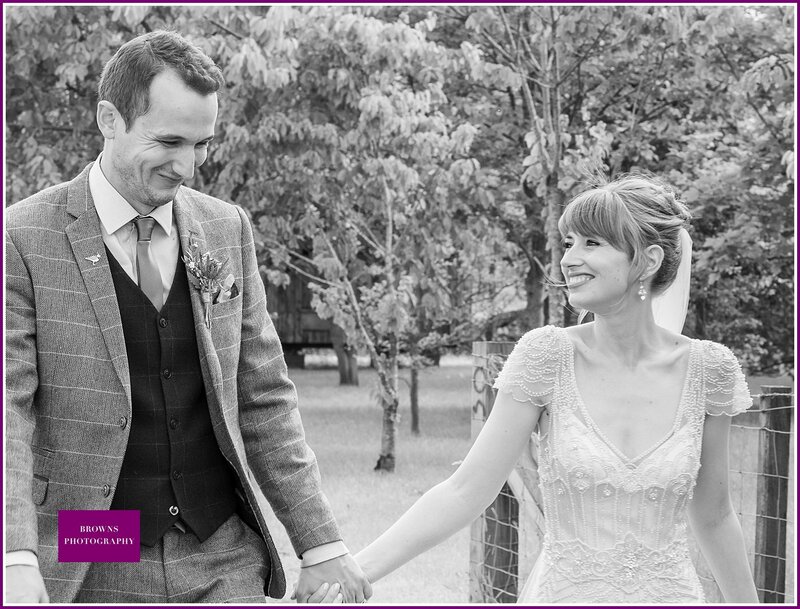 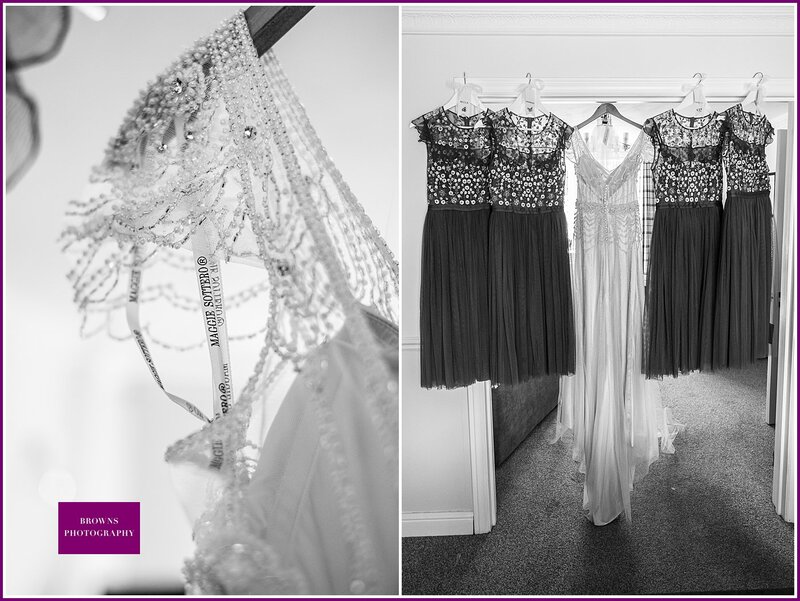 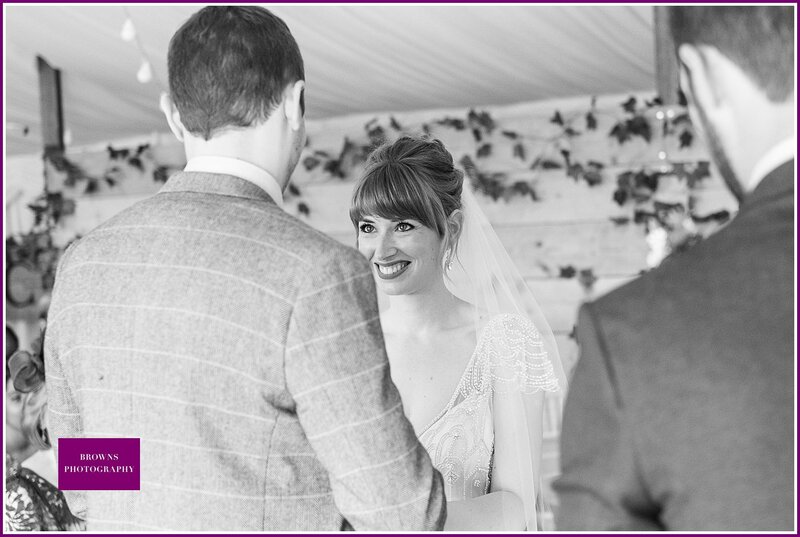 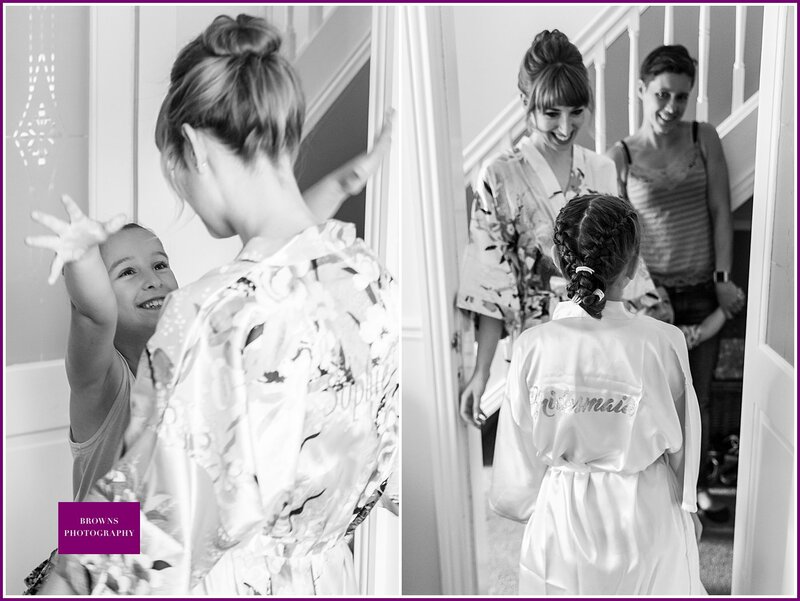 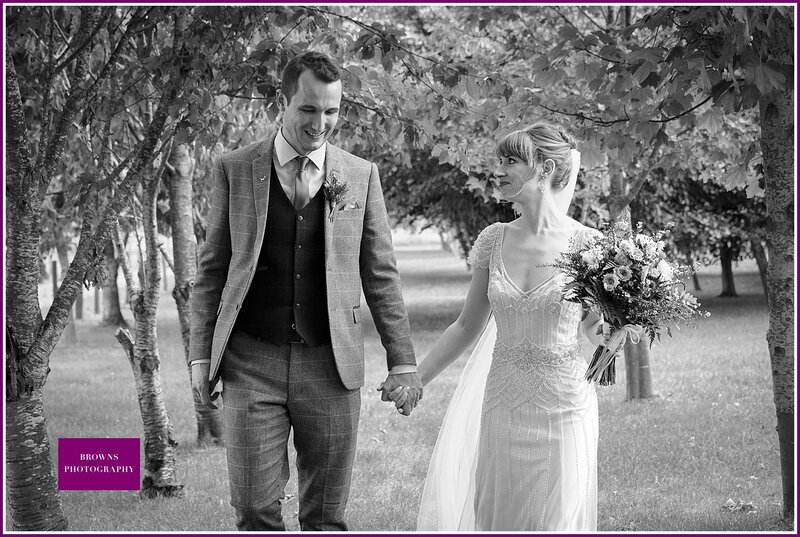 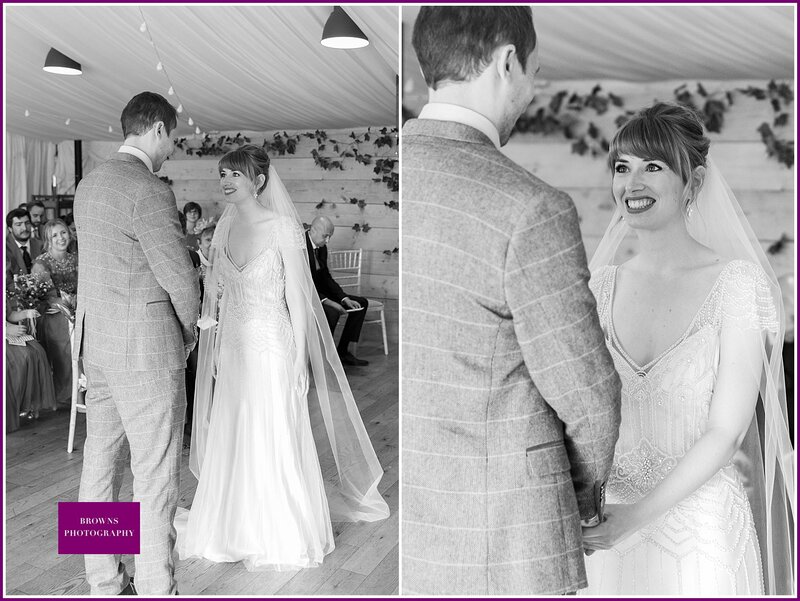 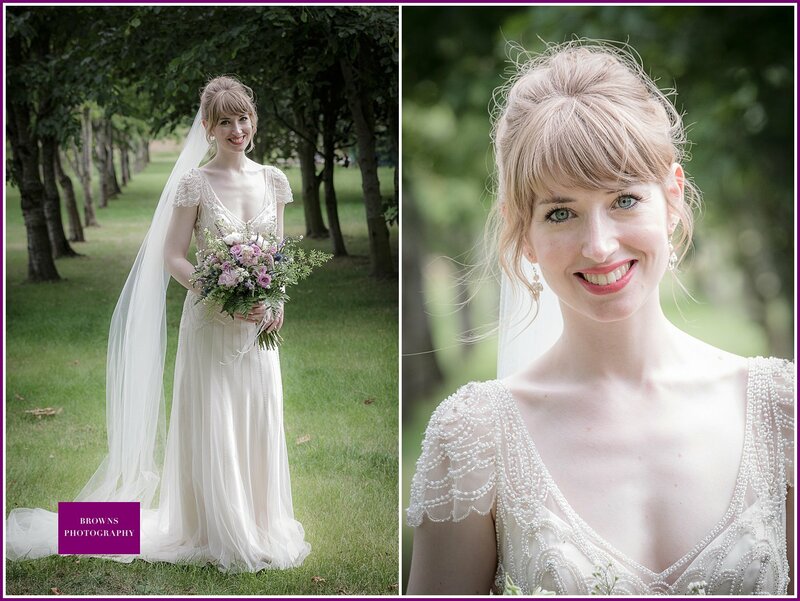 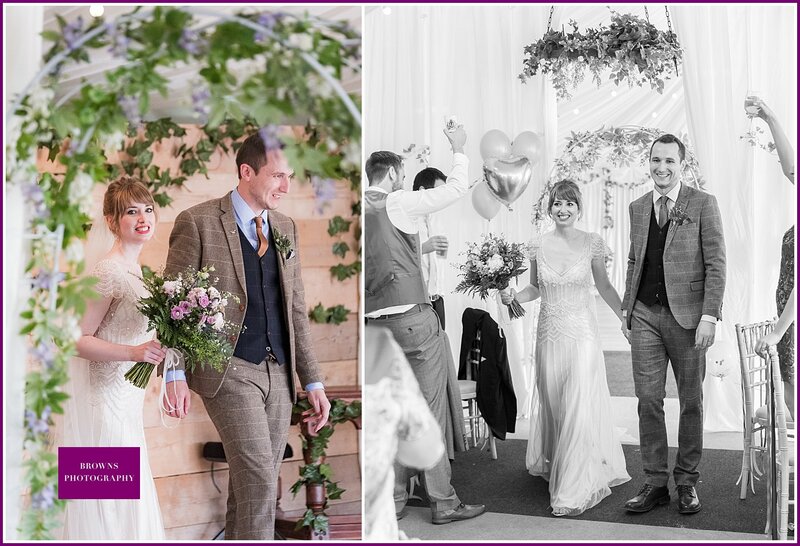 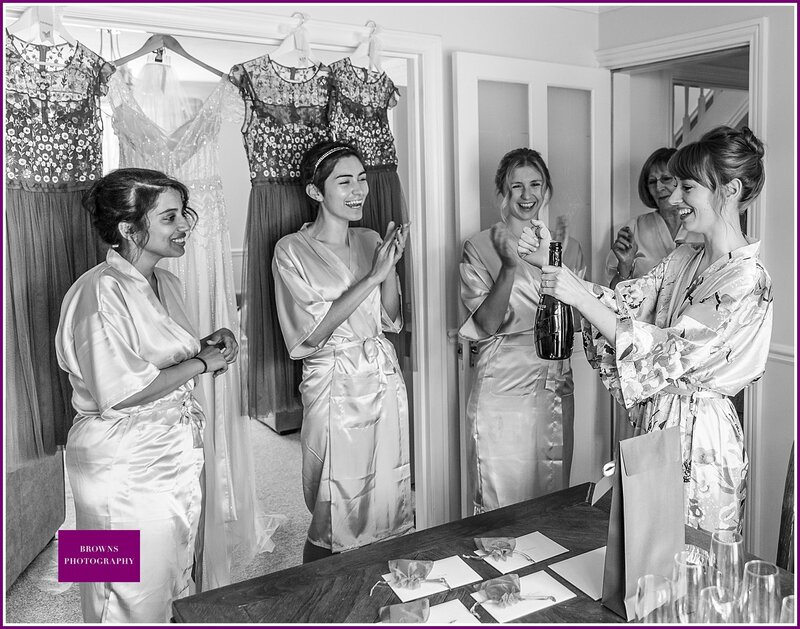 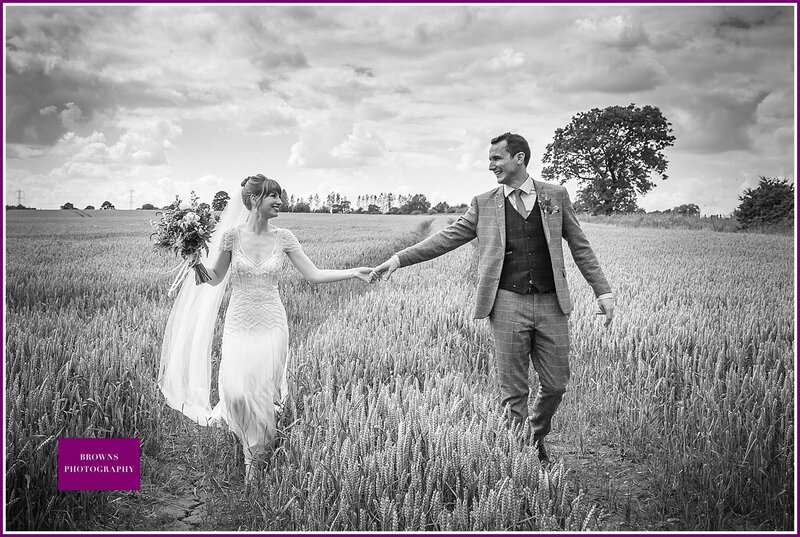 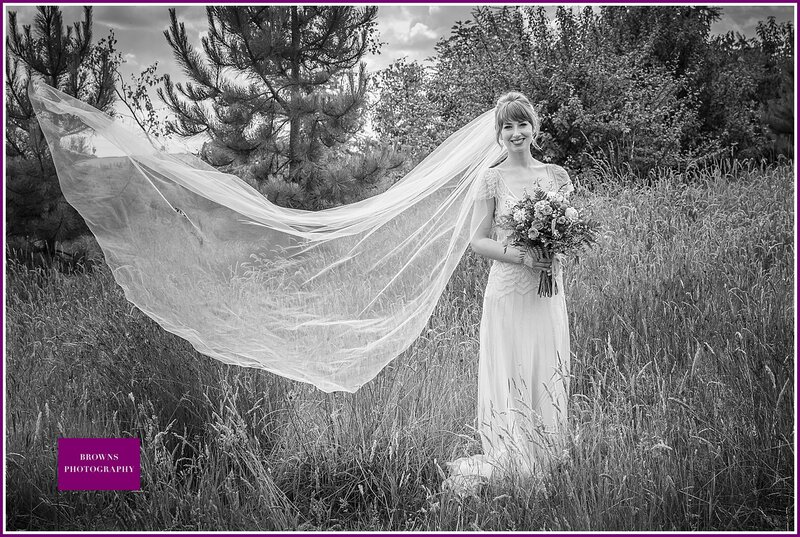 Sophie's dress came from Maggie Sottero Designs, a beautiful vintage style design that fitted her to perfection. 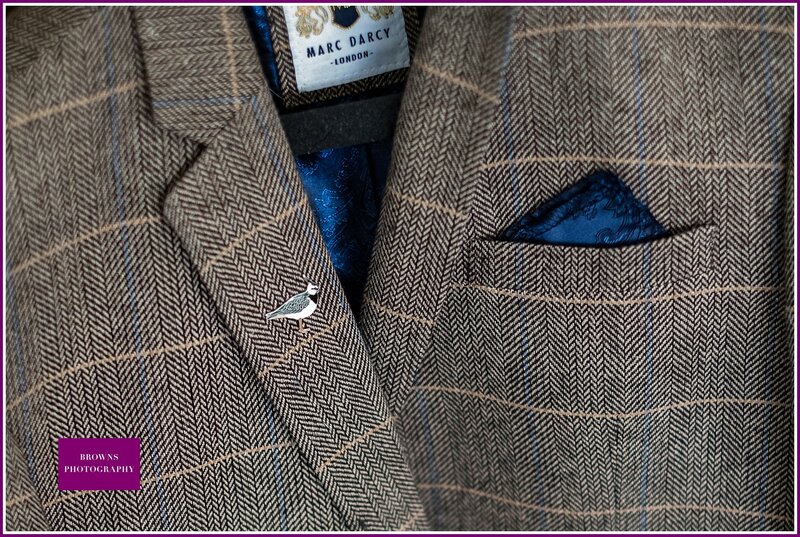 Sam meanwhile wore a superb 3 piece tweed suit from the classic Marc Darcy Suits. 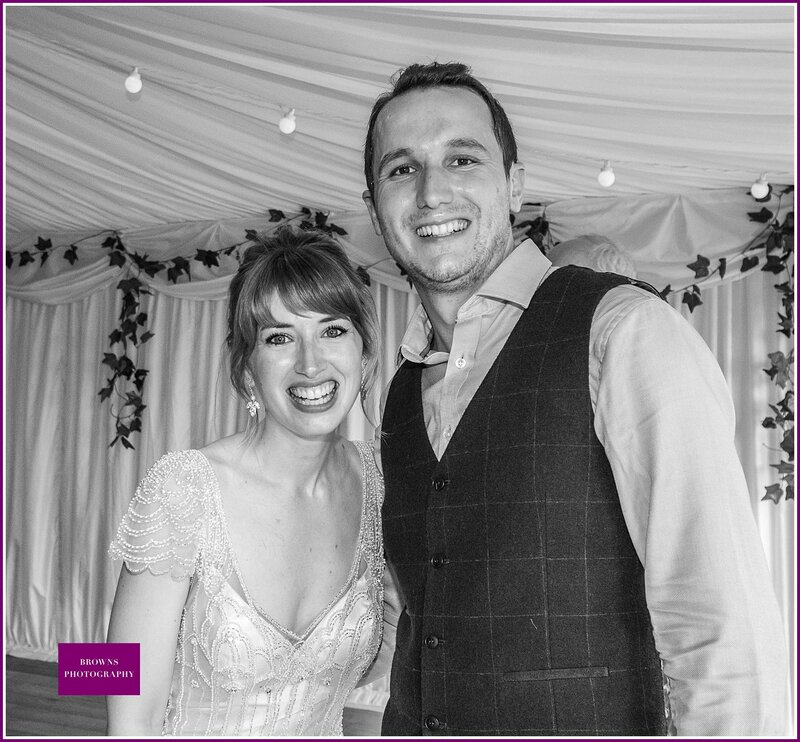 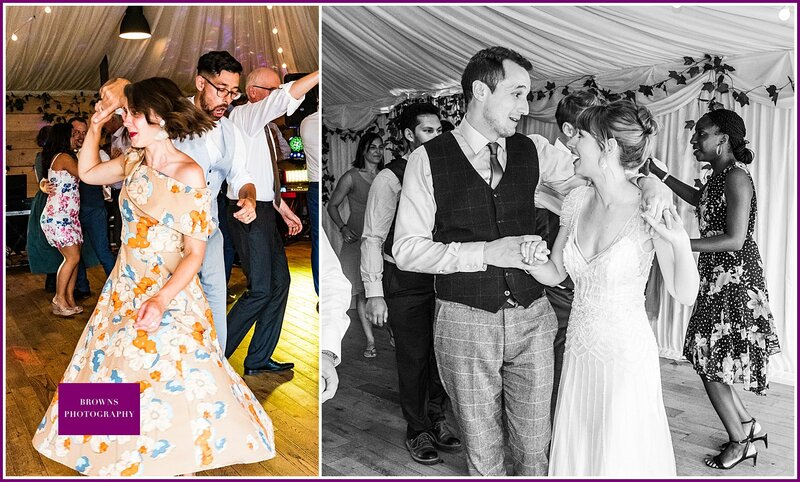 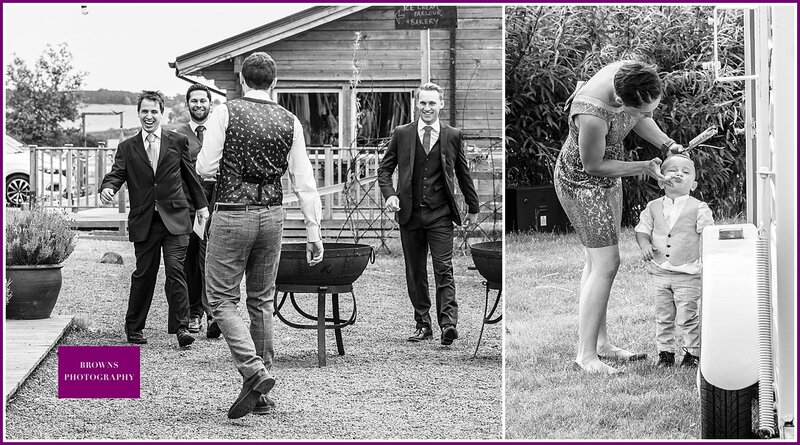 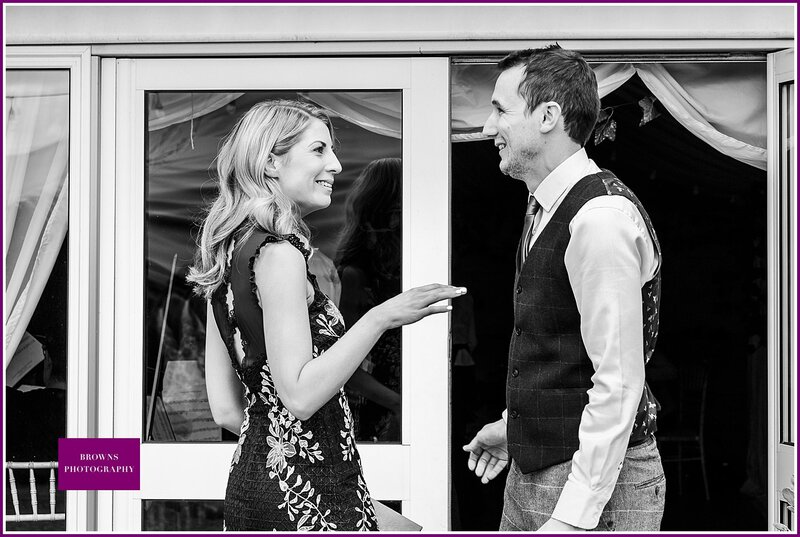 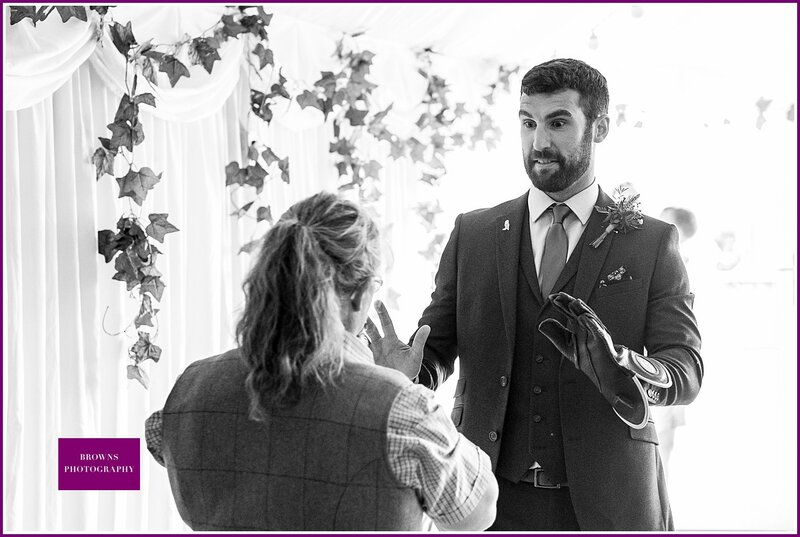 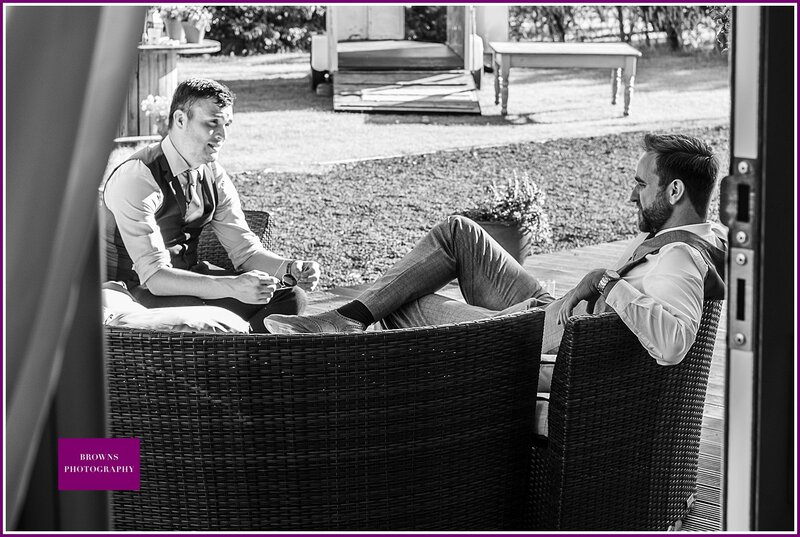 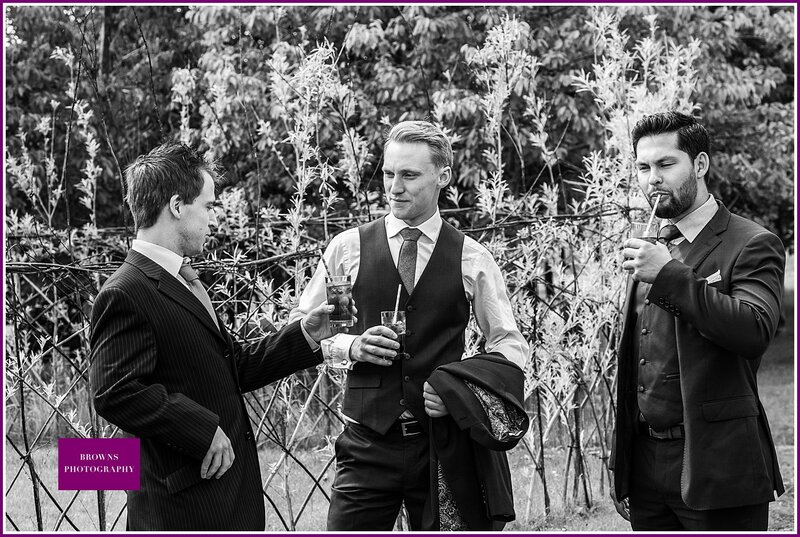 Their clothes really suited the country location….although I think Sam was regretting the choice after several turns around the ceilidh floor! 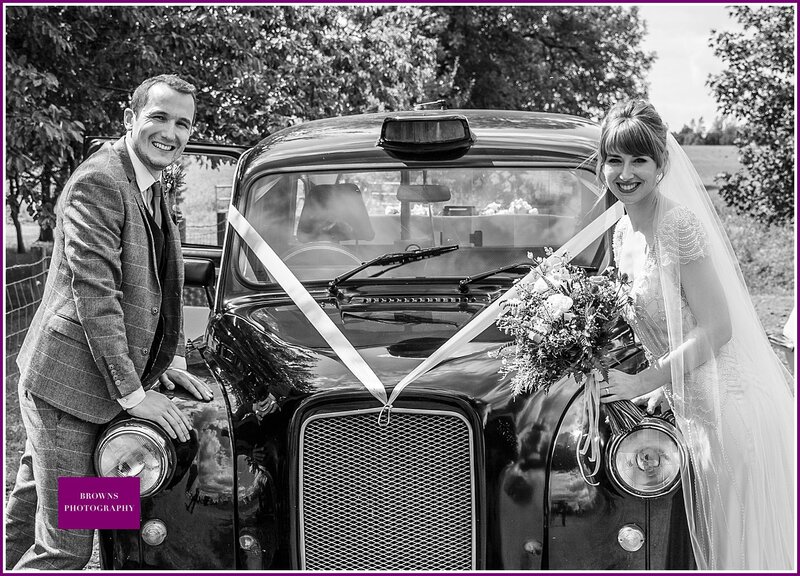 Their choice of transport was equally 'vintage' a classic 1960's Jag….and a London Taxi! 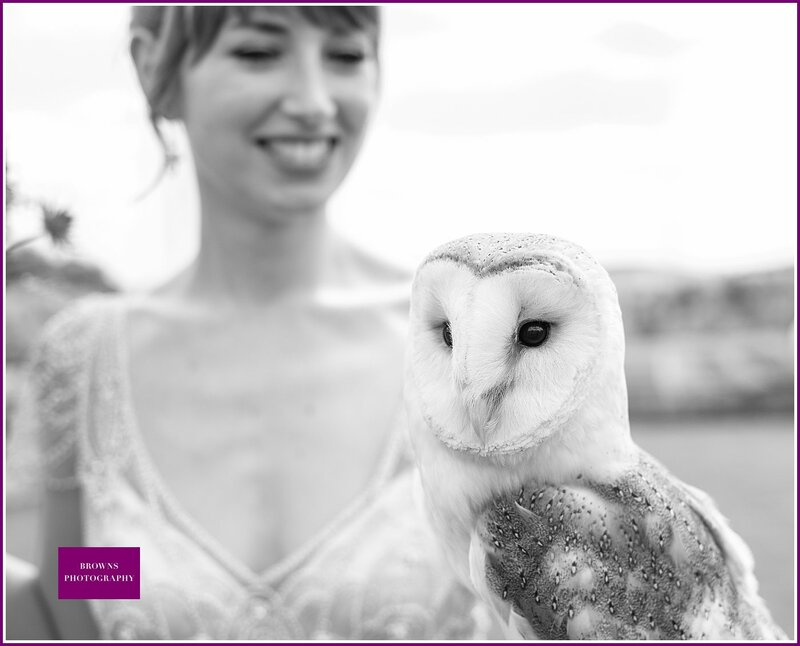 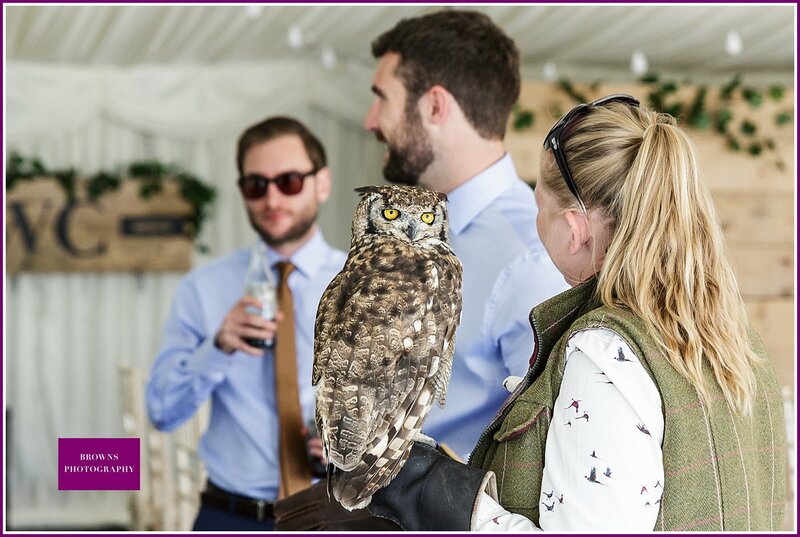 Now, Sam has a passionate interest in birds and all things avian, so it was only natural for their rings to be delivered by a very large and inscrutable owl. 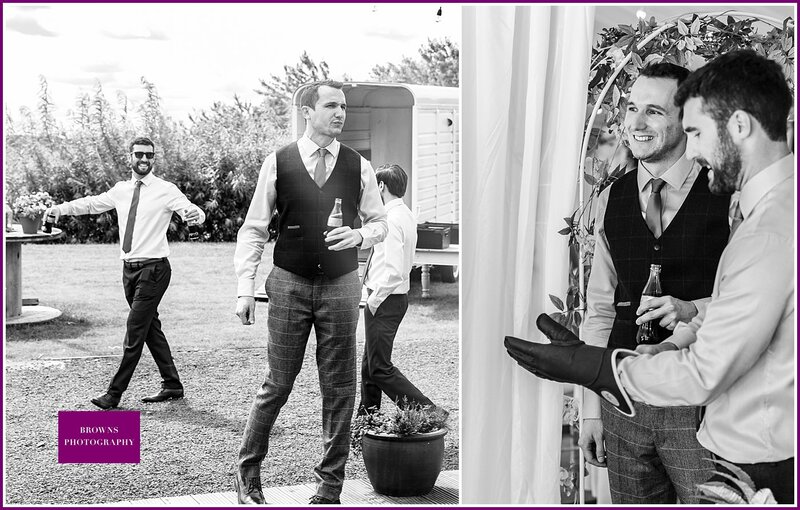 Boy, do those things fly fast! 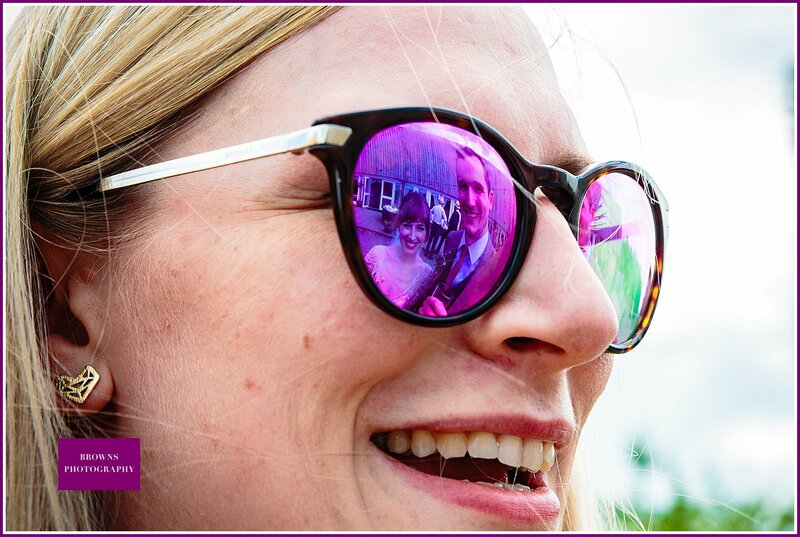 Just managed to grab one shot in flight. 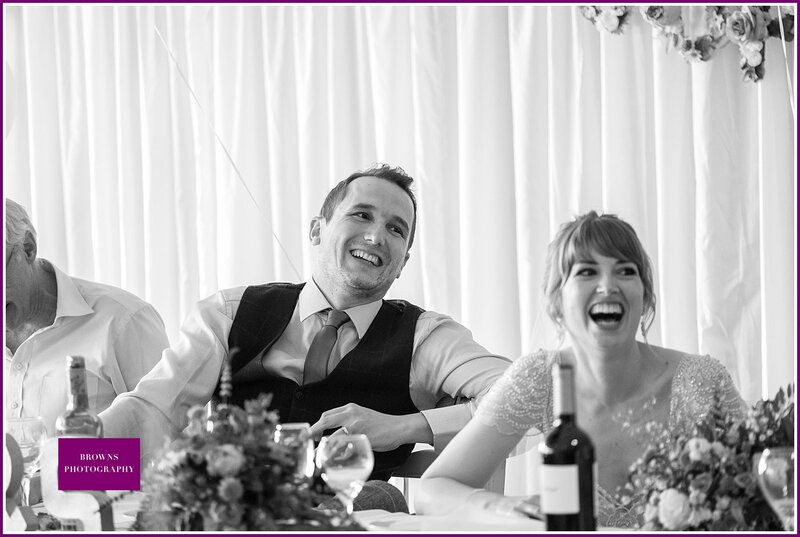 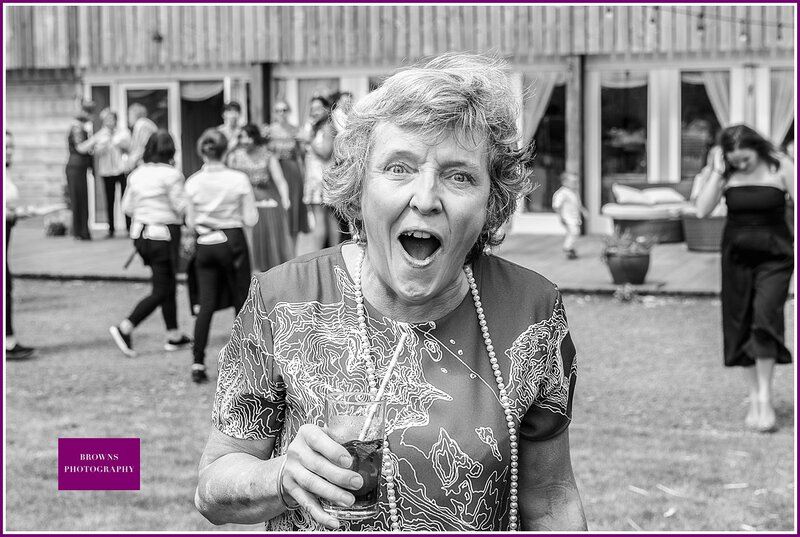 Fortunately, they posed beautifully with the bride and groom very calmly afterwards….and no 'accidentals' on the dress! 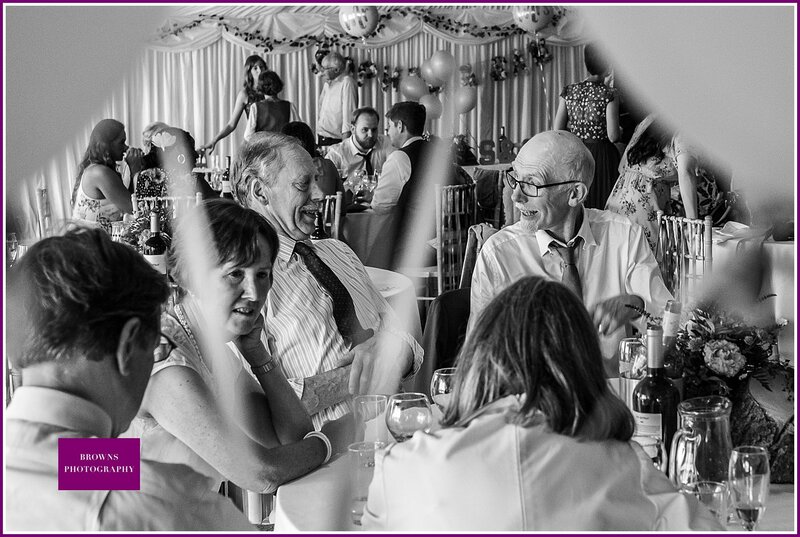 Music was provided by North East Soiree who are a fantastic versatile bunch - everything from string quartets to ceilidh classics and much more in between. 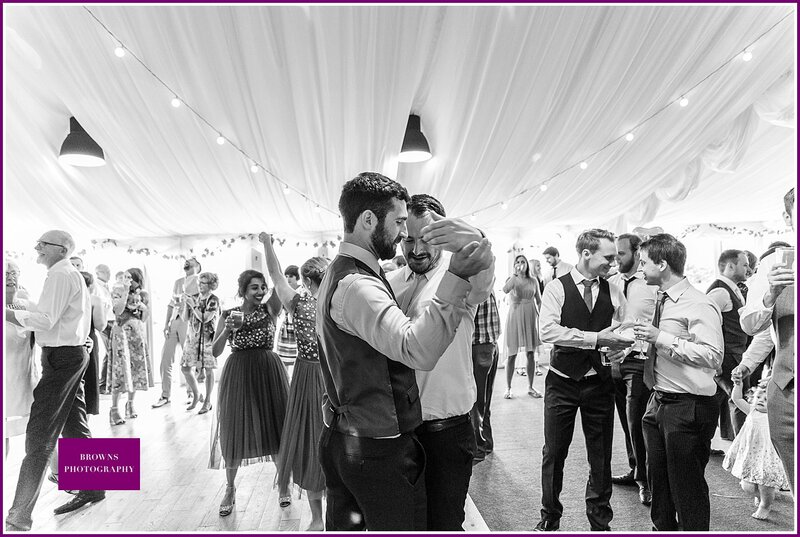 The evening ceilidh really got the guests on their feet. 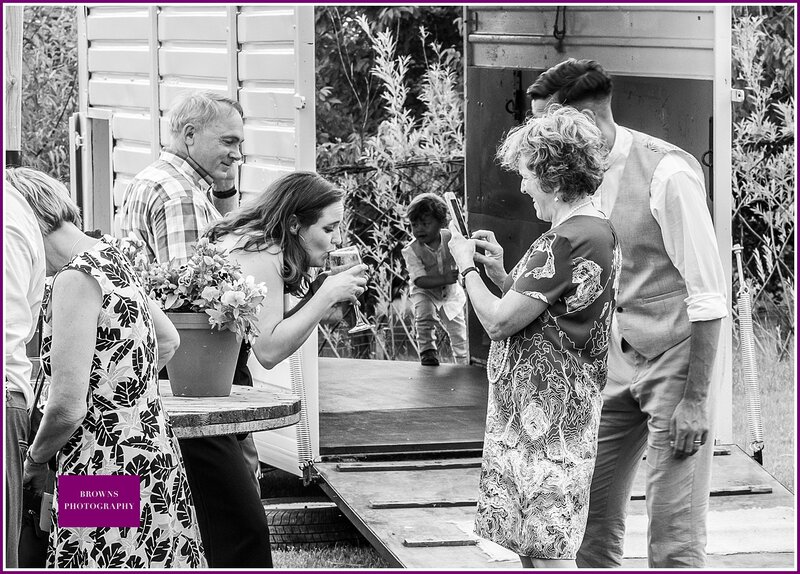 The music was top notch…..just not sure about some of the moves! 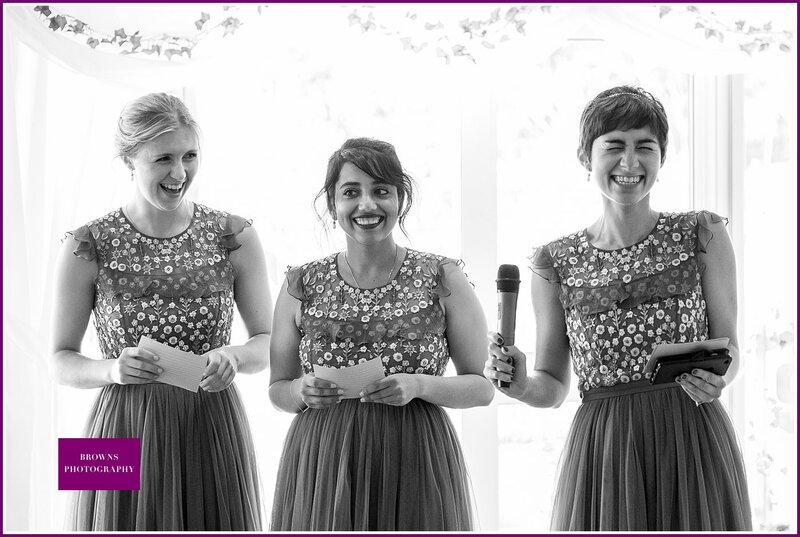 Thanks for asking me to record you day guys, a really, really great wedding!